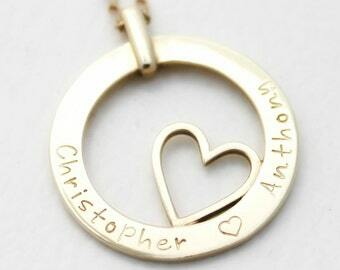 Personalised Hand Stamped jewellery sterling silver heart necklace pendant. Please let me know what you would like stamped in the message to seller box (please be specific and include hearts or dots) when you purchase this item. Also, if you would like your letters blackened or left plain (blackened is default). 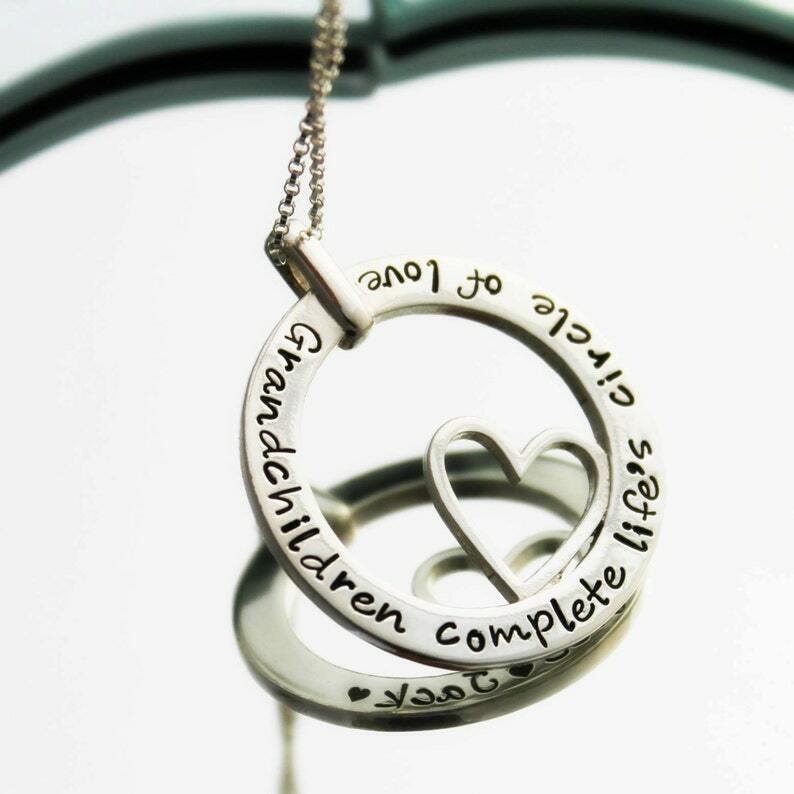 Perfect for Mother's Day, Birthdays, Anniversary, wedding gifts, christening gifts and more.